Posted December 11, 2015 by The Rapid & filed under News. 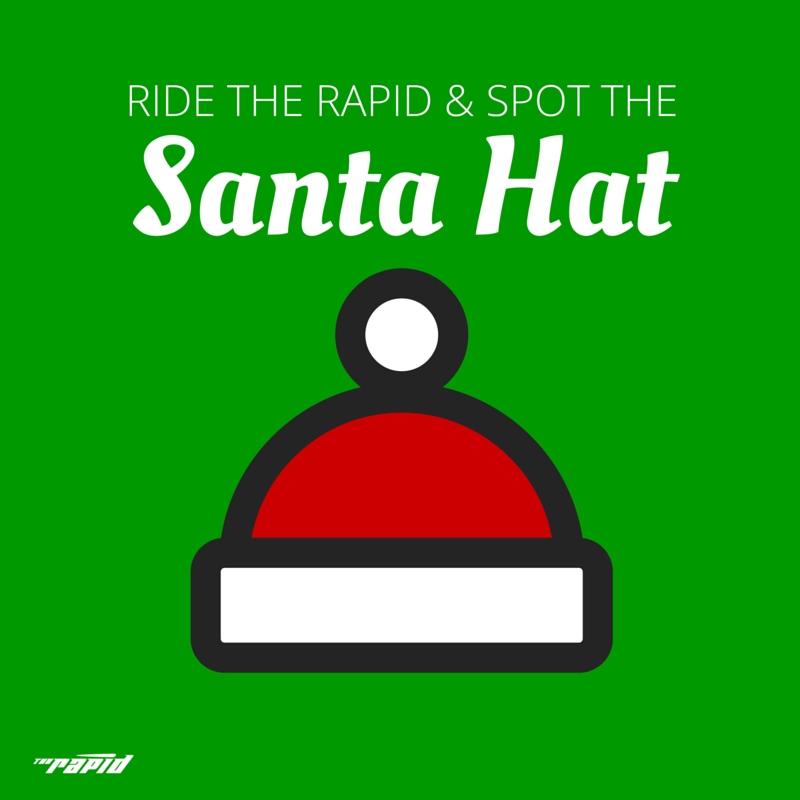 Riding the Rapid just became a little bit more festive this season! From December 12-24, some of our bus operators will don Santa hats as they get you to all of your holiday destinations. Be sure to snap a photo of your favorite holiday bus operator wearing their Santa hat and post it to our Facebook timeline. Your post will enter you into a contest to win a 31-Day Pass! The more holiday hat posts we receive, the more 31-Day Passes we will give away! Help us spread some holiday cheer this season and sharing the smiling face of your bus operator with us.